Photo credit: Even the fastest animal in North America is no match for motorists. 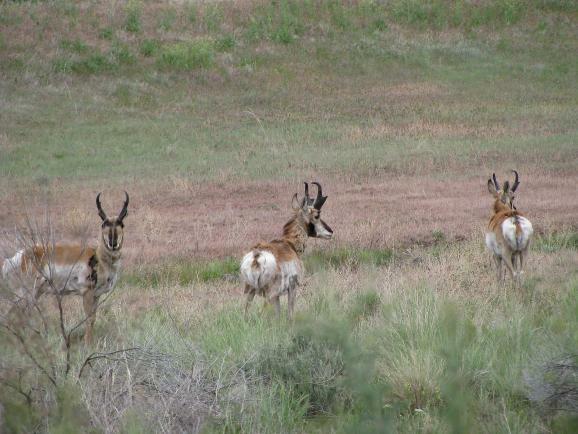 Pronghorn antelope often fall victim to traffic accidents. 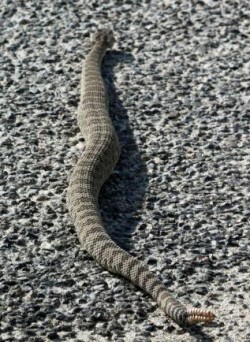 Photo credit: The new bill could provide under-roadway crossings for snakes and other small animals. Weekend work by Congress moved a federal transportation bill to the President’s desk, just in time to avert the shutdown of funding. The bill contains provisions that, for the first time, will allow Utah and federal agencies to retrofit roads to help prevent wildlife-traffic collisions. Rob Ament of the Western Transportation Institute says there are several solutions to pursue including wildlife underpasses, animal detection systems, and pipes or tubes under roadways to protect small mammals or reptiles. The Federal Highway Administration recently filed a wildlife collision report with Congress documenting a 50% increase in collisions over the past 15 years. The report estimates up to 2 million collisions each year, which rarely end well for wildlife and sometimes result in human fatalities. These crashes are expensive too, totaling more than $6 billion per year. Ament praises the new transportation bill, which takes into consideration safety of motorists and the need for roads not to disrupt wildlife movement. To listen to Ms. Bodily’s report on the new transportation bill, please click here.